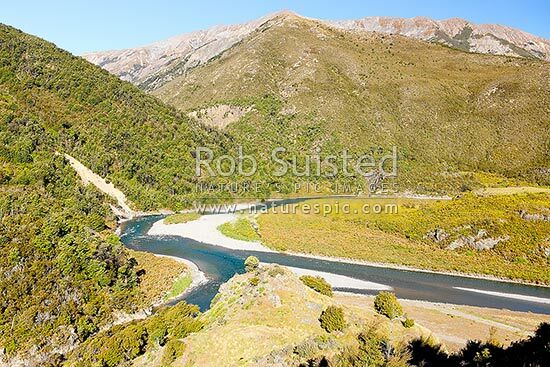 Hurunui River and Hurunui River South Branch confluence. Mt Miza and The Hooligan Range above. Lake Sumner Forest Park, Lake Sumner, Hurunui District, Canterbury Region, New Zealand (NZ), stock photo.